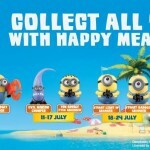 Home » Blog » McDonald’s Giving Away FREE Sausage McMuffin with Eggs! McDonald’s Giving Away FREE Sausage McMuffin with Eggs! 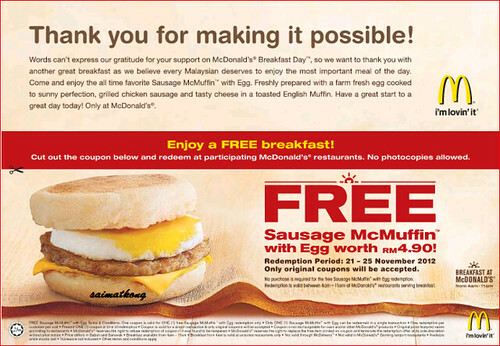 Few days ago, so many people queuing up for the FREE McDonald’s Egg McMuffin, 19th November Monday, now McDonald’s is giving another round of FREE Breakfast, Sausage McMuffin with Eggs, to Malaysian for supporting them! Some people saying it’s just few bucks why so kiasu to queue up and waste time? I would say it’s because we are truly Malaysian and it’s fun queuing up for FREE stuff rather than using own money to buy it right? Hehe. You still can grab free FREE Sausage McMuffin with Eggs if you missed it on Monday! Words can’t express our gratitude for your support on McDonald’s Breakfast Day, so we want to thank you with another great breakfast as we believe every Malaysian deserves to enjoy the most important meal of the day. Come and enjoy the all time favorite Sausage McMuffin with Egg. Freshly prepared with a farm fresh egg cooked to sunny perfection, grilled chicken sausage and tasty cheese in a toasted English Muffin. Have a great start to a great day today! Only at McDonald’s. *This round, coupon would required to redeem the FREE Sausage McMuffin with Eggs at participating McDonald’s restaurant. No photocopies allowed. So you need to go grab a copy of TheStar today for the coupon! Redemption Period : 21 – 25 November 2012. Only original coupons will be accepted. Mc-nificent deal: Early birds queuing for a free Egg McMuffin at a McDonald’s outlet in Petaling Jaya. PETALING JAYA: Over 200,000 Malaysians took part in McDonald’s Breakfast Day, thronging restaurants nationwide to get their free Egg McMuffin breakfast. At the Mutiara Damansara drive-through branch, 800 out of the 1,000 free Egg McMuffins were given out by 8.30am, with some customers arriving as early as 6.30am. Queuing patiently, they were let into the restaurant in batches of 20 to prevent overcrowding. Even the drive-through area was packed with cars and motorcycles waiting in line to collect their breakfast, comprising an English muffin, cheese, egg and sausage. Chong Kam Mooi, 65, said she came on a “breakfast date” with her neighbours after hearing about the Egg McMuffin giveaway on television. Car salesman Calvin Wong, 40, said he brought his two young children, Zane and Renee, to McDonald’s for the free Egg McMuffin. “My children love eggs. We normally have bread and eggs for breakfast. 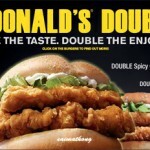 I’m very happy that McDonald’s is giving out a good breakfast,” he said. McDonald’s Malaysia and Singapore regional manager Sarah Casanova said some 170 workers at the head office had volunteered to help out at their local branches and serve customers. 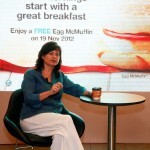 Casanova, also McDonald’s Malaysia managing director, said she believed this initiative to encourage the “breakfast movement” was the first of its kind in the world. Customers who missed out on the breakfast were given vouchers to redeem a Sausage McMuffin from tomorrow to Sunday. The vouchers can also be found in local newspapers. 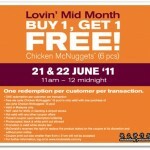 Food Promotions : McDonalds Free Big Breakfast! 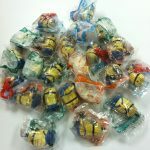 McD Minion Craze! Ppl are queuing for the Minions!